Origin: Colorado, Montana, North and South Dakota, and Wyoming, and in the Canadian provinces of Alberta and Saskatchewan. 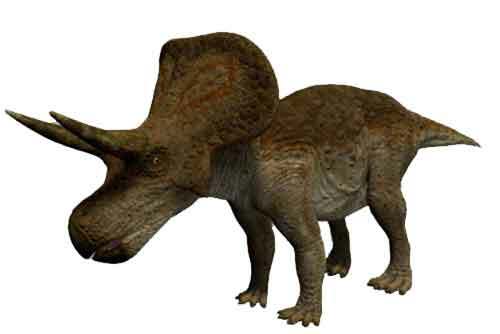 5.65 million years ago, Triceratops was one of the last dinosaurs standing. Triceratops bones are very popular selling most recently for $1 million in 2008 by a wealthy dinosaur fan and donated to the Boston Museum of Science.